This is an in-depth accredited TESOL training course, designed for ELTON candidates to provide you with a competitive qualification you can use around the world or right here in Hong Kong. Work through this fun, interactive programme and learn with a personal qualified TESOL tutor as you study at your own pace, with up to 12 months to complete. 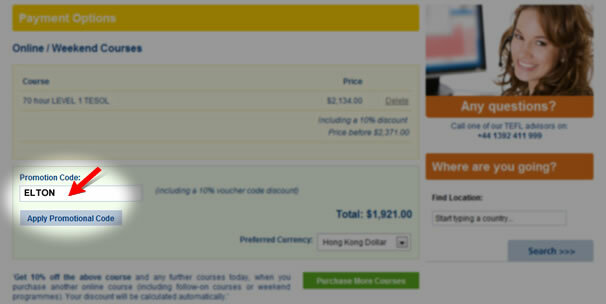 Price includes all material, jobs support and a PDF certificate. Your Level 4 certificate is awarded by ACTDEC so employers can be sure this course has met strict, independent criteria for TESOL provision. You will have a strong foundation to give you the confidence and skills necessary to succeed in the classroom. This 4 module course is approx. 150 study hours and typically take between 8-16 weeks to complete but you can go faster or slower than that if you wish. Because many of our trainees are balancing work/life commitments, we go at your speed and allow up to 18 months for course completion. You can check out what’s covered on your course on the course content page.